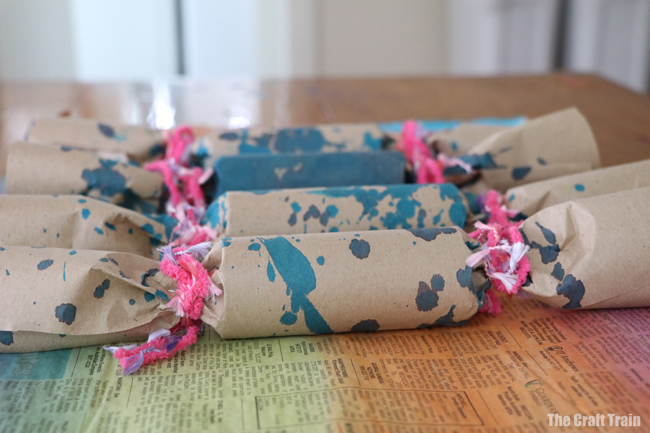 Make some arty DIY Christmas crackers to share with family and friends this year. 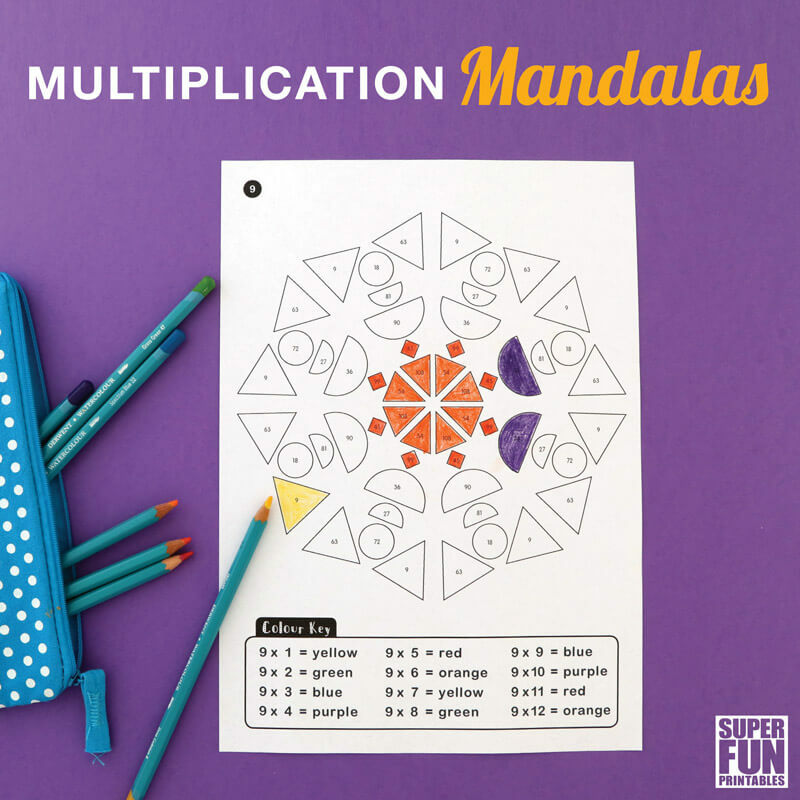 This is an easy holiday craft for kids and would make a fun handmade gift idea. 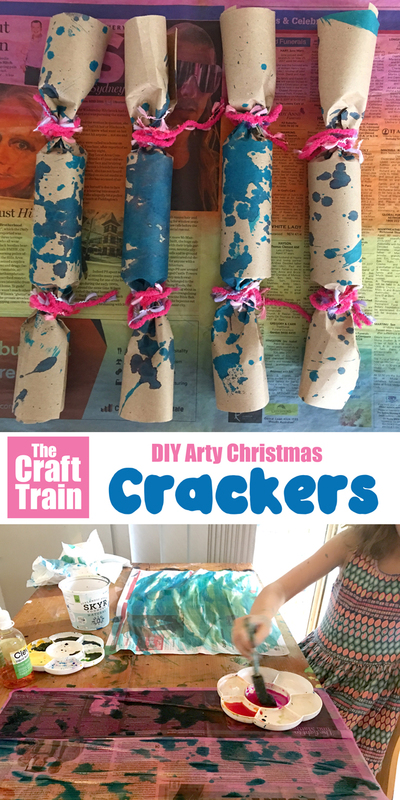 Not long ago I shared how our family likes to make handmade crackers at Christmas time. 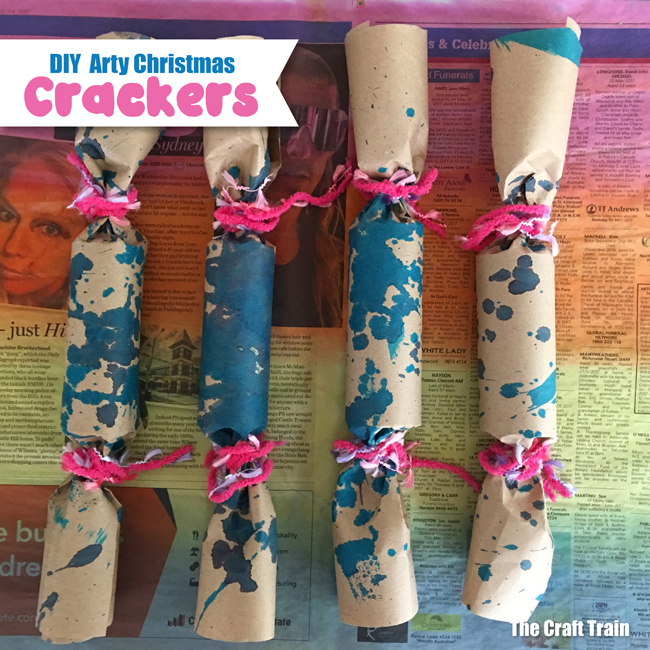 Last time it was colourful tie-dyed paper towel crackers I made with the kids as pre-schoolers, and today I’m sharing the Arty DIY Christmas crackers we made last year. The reason I’m sharing them now instead of last year is because we actually made them the day after Christmas. At the last minute (Christmas eve actually), my mum phoned me and asked if I could bring some more hand made crackers to the extended family celebration again this year – thanks Mum! 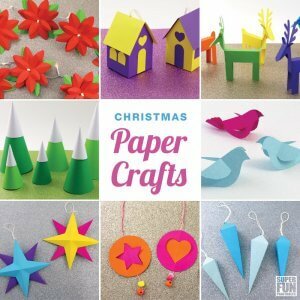 However, it was no problem because I had my trusty junior crafters on hand. 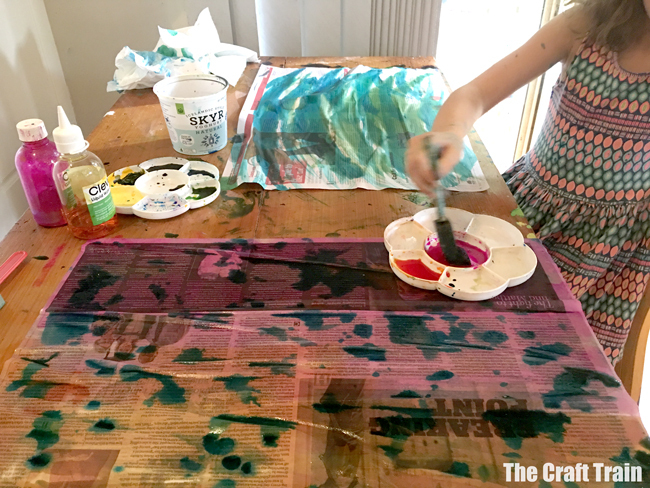 We pulled out the liquid watercolours, brown paper wrap and newspaper. Luckily I keep a large stash of paper towel rolls hoarded away with my craft supplies. 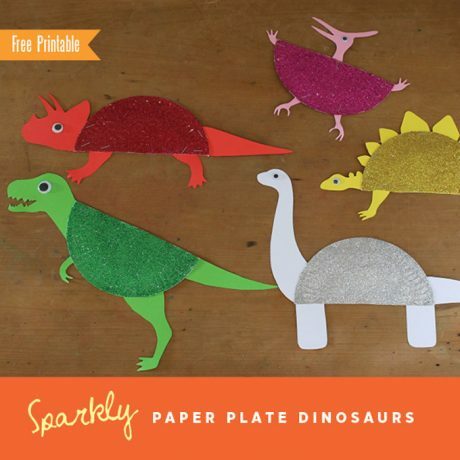 I’m slightly obsessed with paper roll animal-making, haha. The girls seriously love this tradition, they enjoy making the crackers as much as they love cracking them open on Christmas day. Even when they know what surprises and jokes are inside (because they made them), it doesn’t seem to detract from the fun on the day. These photos were taken in a hurry, but much fun was had in the creation process. 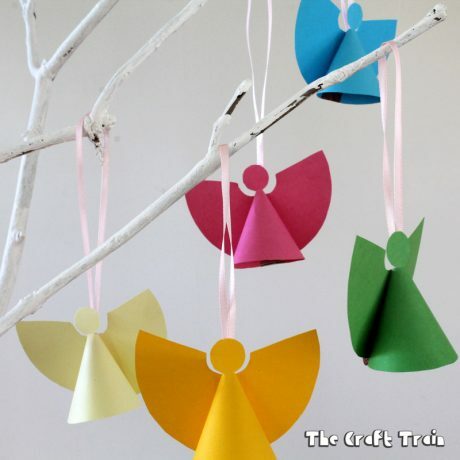 We love how they turned out, and they were certainly well received when we laid them out on the Christmas table. 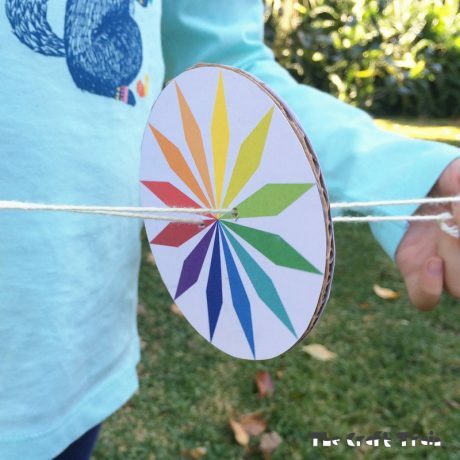 The instructions for our Arty DIY Crackers are basically the same as the Tie-dyed crackers we already shared so I haven’t repeated the process photos. Rather I’m just highlighting another way you can make them. • paper rolls – either paper towel rolls cut in half or toilet rolls as is. One per cracker. First you need to make the paper to wrap them in. 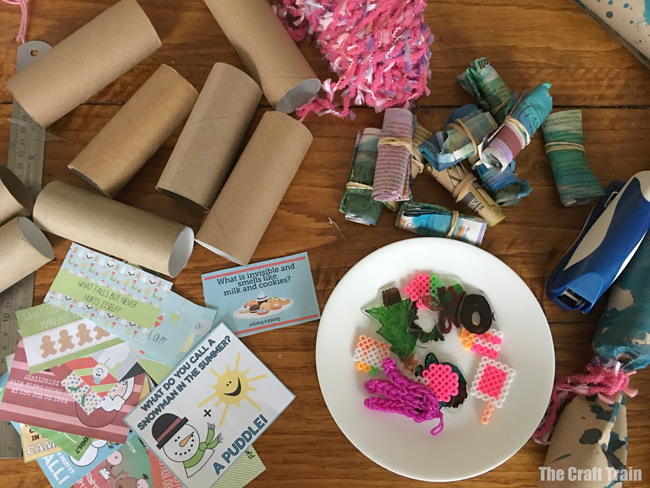 We were inspired by this DIY wrapping paper idea from the amazing Make it Your Own, and the girls couldn’t wait to try making some. 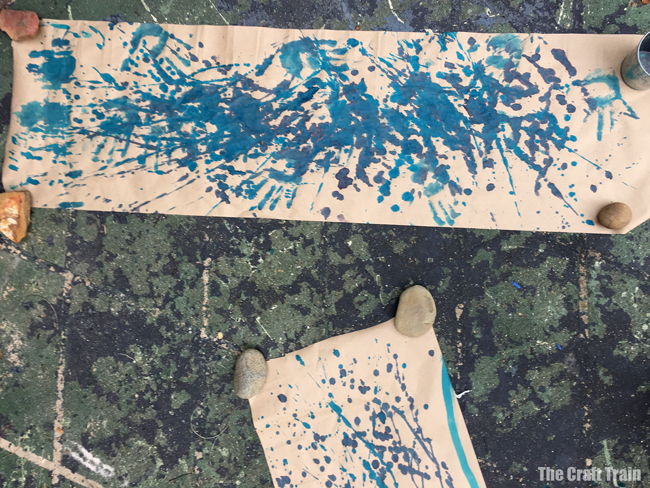 Featured on our crackers is the splatter art wrap, but the girls also made some of their bubble art gift wrap for wrapping presents in too. Next make the paper for your hats. 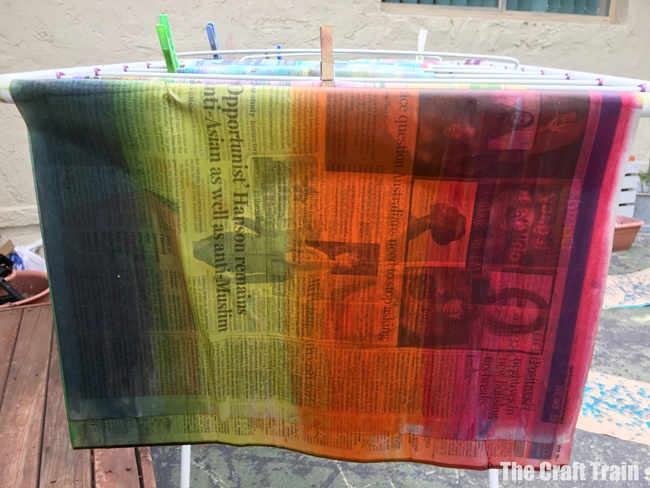 We’ve used newspaper and painted it in liquid watercolour, then hung it out to dry on a clothes rack. Unfortunately I didn’t get a picture of the completed hats, but you can imagine how colourful they looked by the photograph below. Here are just a few of the surprises the girls made to go inside them. 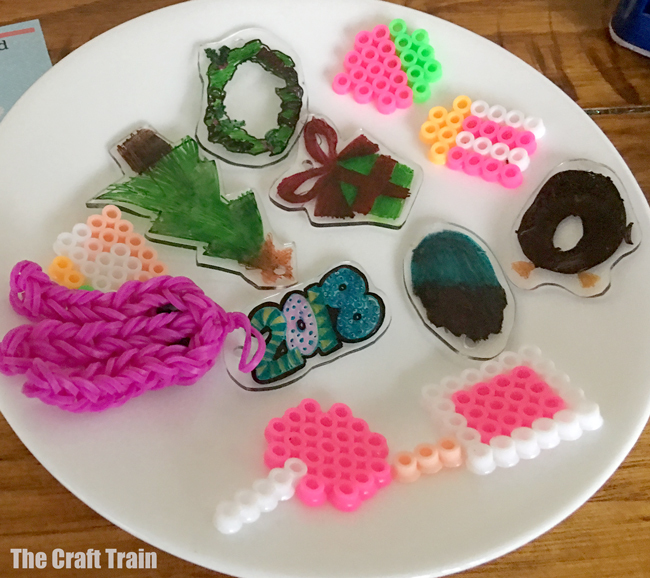 Lots of people who love crafting would already have hama beads at home, and shrink plastic is something we have experimented with before. It’s fun for the kids to make artworks then watch them shrink into a little charm a fraction of the size. In addition to that my kids have never really moved past the loom band craze and still like making bracelets, little animas etc. from them. These things all make nice additions to the crackers. If you don’t have time to do this, you can always just purchase some small items from the shops. 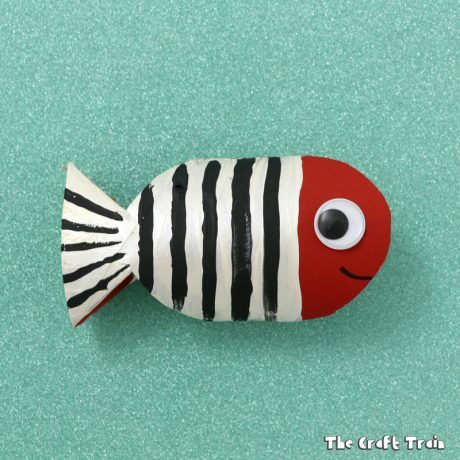 In the past we have put mini erasers, small fridge magnets, instant scratchies, lip gloss and plastic animals inside them. A small treat works too, like a packet of smarties. I wouldn’t put small chocolates inside because they can (and will!) melt, especially if you live in a hot country like Australia. Because I’d used my own sheet of printable jokes multiple times before for my family, I quickly found some different ones online. I no longer have the link for these, but if you search”free printable Christmas jokes” you’ll find some. Alternatively, get the kids to write some of their favourite jokes down on small pieces of paper to put in the crackers. Next make the crackers. Put one hat, one joke, one surprise and one cracker snap inside the paper roll. Roll it in t piece of paper and staple the ends so that the cracker snap stays in place. 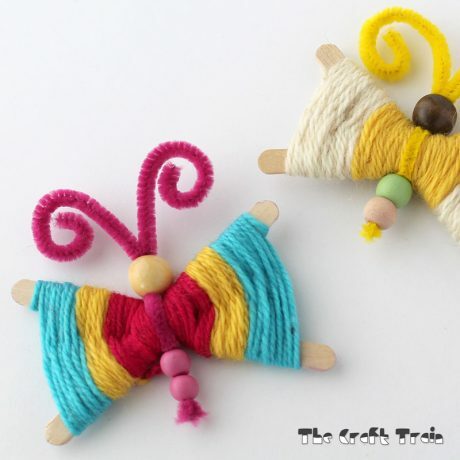 Tie each end with coloured yarn, twine or ribbon and you’re done! You can see the full process of how to put them together here. When it came time to hand these out the girls’ eyes shone with excitement when they saw who pulled what hand-made knick knack out of the crackers. It was hilarious seeing everybody wearing our home-made newspaper hats too. Best of all, I love that we made these completely with what we had at home and didn’t need to buy anything extra at all.